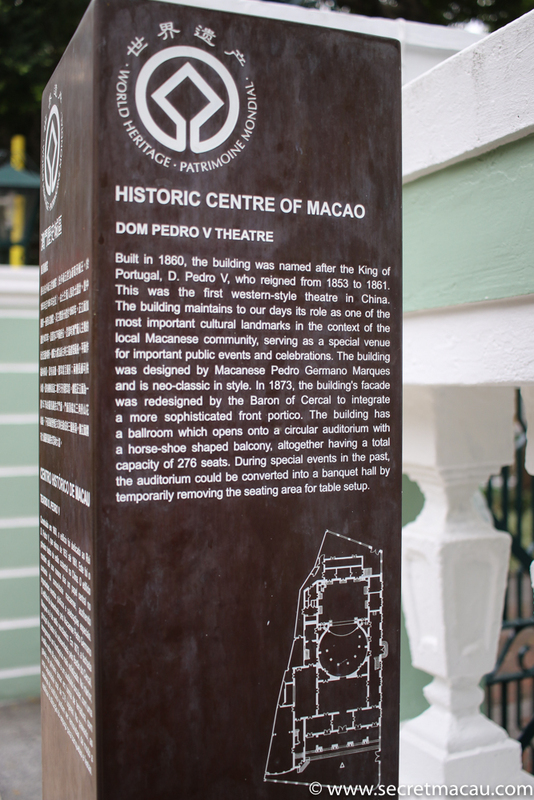 Dom Pedro V Theatre (Teatro Dom Pedro V, 伯多祿五世劇院) was one of the first western style theatres in eastern Asia. 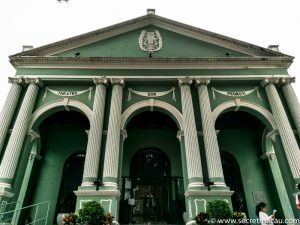 It is situated in St Augustine’s Square (a short walk from Senado Square), where it is in good company standing alongside St Augustine’s Church, St Joseph’s Seminary and Church and the Sir Robert Hung Library. 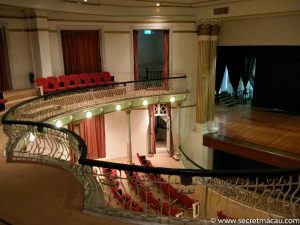 It is free to enter to have a look around – where you can see the ballroom, and the theatre both from the stalls and balcony. 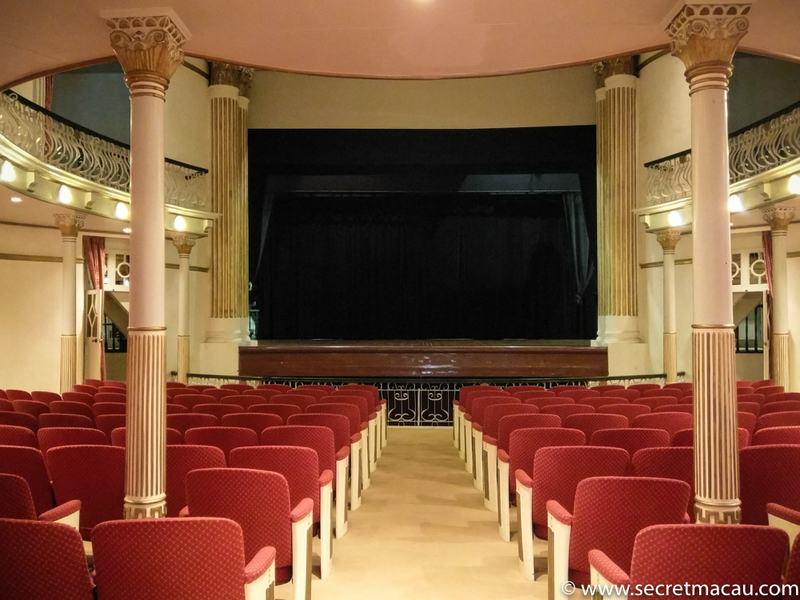 The Dom Pedro V Theatre has had an interesting past – it hosted the premiere of the Madam Butterfly opera in Asia, and has been used as a refugee shelter during Word War II. 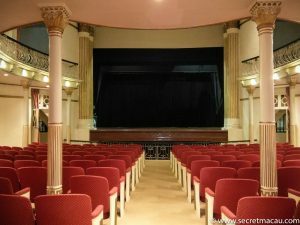 It was left unused for almost 2 decades in the 1970’s due to structural damage by termites while repair work was carried out. 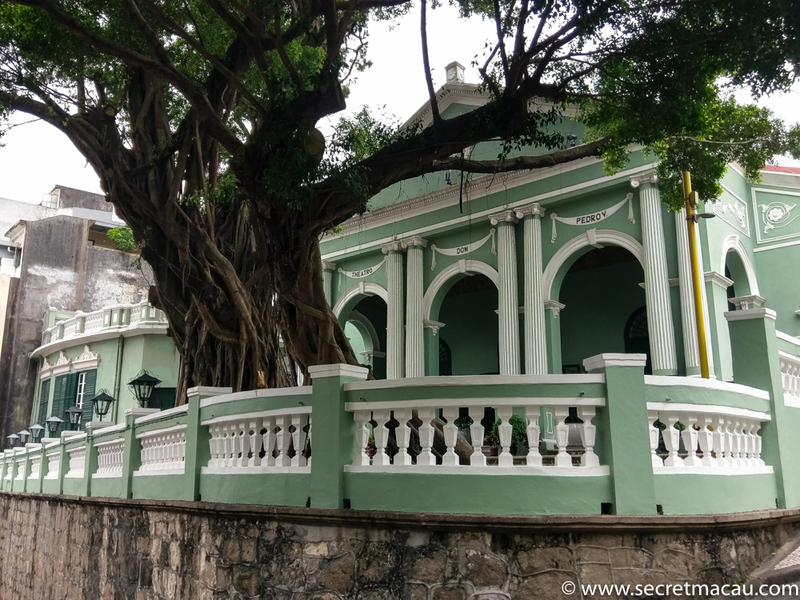 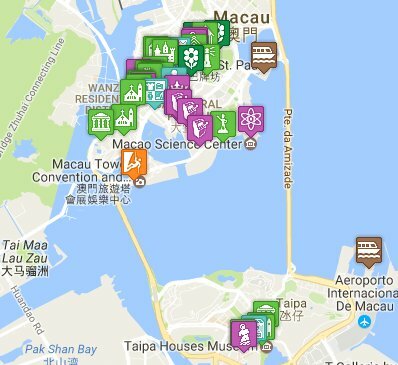 It reopened in 1993, and in 2005 was included in the list of buildings forming the UNESCO Historic Centre of Macau. 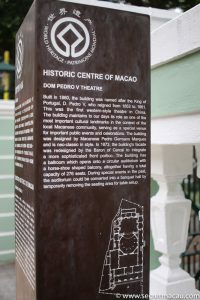 Now designated as part of the UNESCO Historic Centre of Macau, it is still a functioning theatre used for concerts and plays. 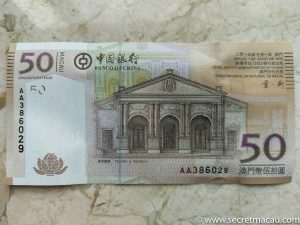 The Dom Pedro V Theatre also features on the Macau 50 Pataca note.